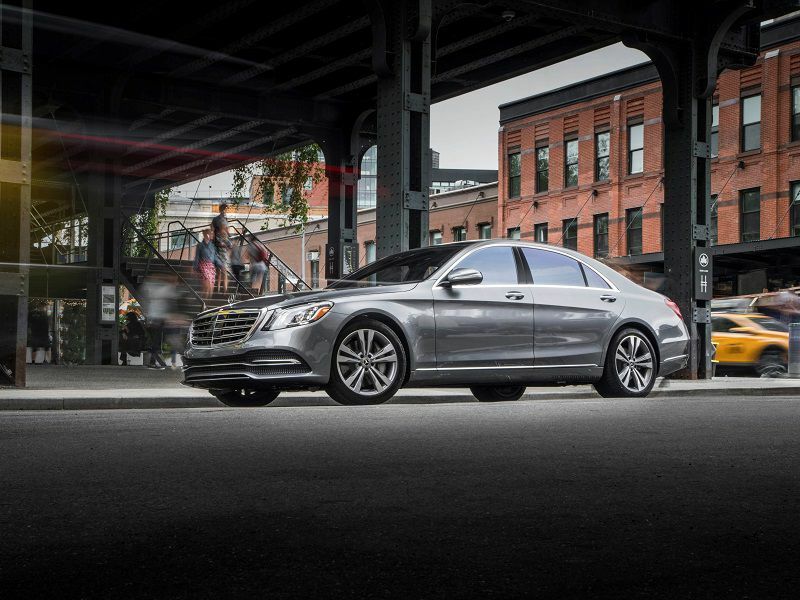 In America, the Audi A8, BMW 7 Series, and Mercedes-Benz S-Class are simply referred to as “full-size” luxury sedans, but the European definition of “executive” sedans is much more fitting. 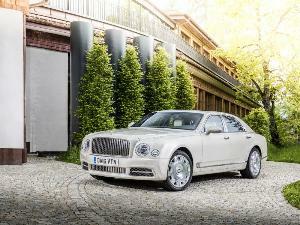 These prodigious, striking vehicles are statement pieces after all — symbols of success to match owner accomplishments. 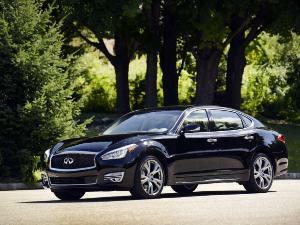 Whether for driving or being driven, an executive sedan must be rich in space, convenience, and power. Audi’s fourth-generation A8 promises new benchmarks in these categories and more. 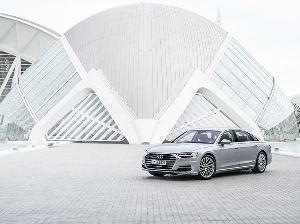 Unsatisfied as the runner-up to its German competitors, Audi’s flagship sedan steps out with bold styling, cutting-edge safety tech, and versatile driving dynamics. Our first drive (and ride) in the 2019 A8 is more accurately an assessment of Audi’s finest engineering, design, and technology efforts. The 2019 model year brings a complete overhaul of Audi’s flagship sedan, introducing a new chassis, exterior design, interior, and powertrain. 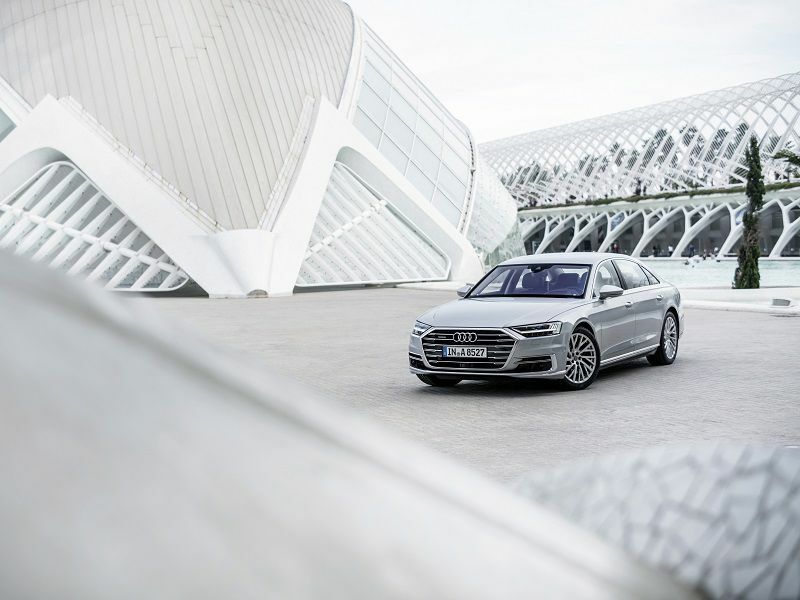 Taller, longer, and fractionally narrower than its predecessor, the new A8 will only be offered as a long wheelbase variant, which Audi calls L. When the performance-oriented S8 arrives in a year or two, it will likely ride on a shortened platform. Highlights of the company's range-topping sedan include matrix headlights, OLED taillights, Level 3 autonomous driving capability (pending regulatory approval), a predictive air suspension, new generation of infotainment and digital driver displays, rear-wheel steering, and mild hybrid assistance. Most, if not all, of these features will also eventually find their way into smaller, less expensive Audi models. It’s been four years since Audi debuted its striking Prologue Concept — and the A8 is the first model to closely follow the new design language. 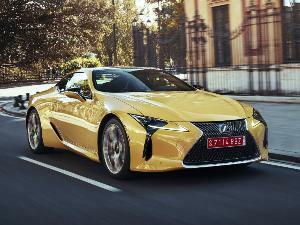 Like the Prologue, it features a gaping front grille with thin chrome slats and a thicker hexagonal border. Audi claims the wide-mouth fixture is a throwback to the original A8’s snout, and while we don't see much resemblance, we like the new nose. Further sharpening the front end is a pair of Matrix LED headlights with animated signatures. Until U.S. regulations permit Matrix tech, the A8’s beams will operate as LEDs. Once given the green light, Audi will send an over-the-air update to activate the A8’s Matrix functionality. In profile, the A8 shows off its continuous character lines and “Quattroblister” wheel arches. A selection of 19-, 20-, and 21-inch wheel designs are available. Though generally understated compared to the 7 Series and S-Class, the A8 isn’t without flourish. 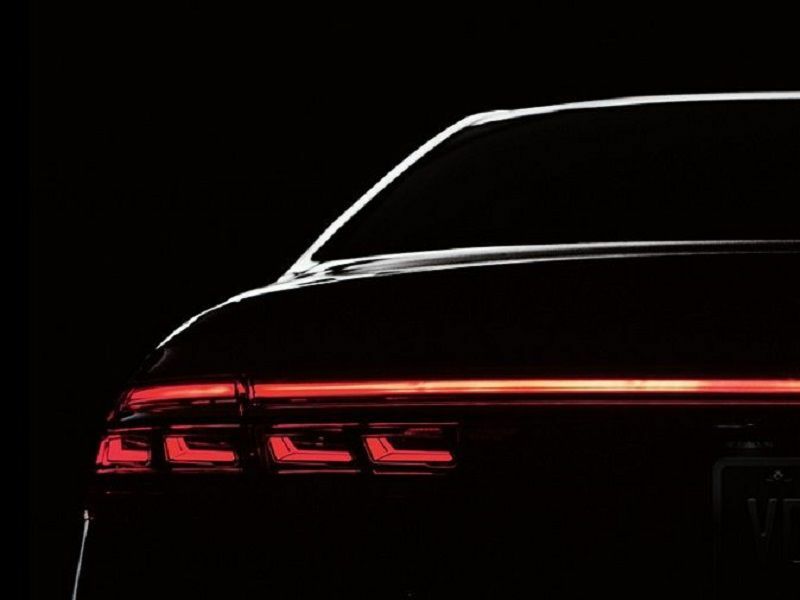 Specifically, the full-width OLED taillight is the most dazzling light signature of any production sedan. Alas, not even the trick lights can jazz up the A8’s rear design, which fails to mirror the front and side’s premium look. Until now, it felt like the more advanced a vehicle’s interior technology, the more complicated and less calming the passenger experience. Audi set out to change the status quo with its new A8’s cabin. Unlike its rivals, the A8 doesn’t wear its technological prowess on its sleeve; rather, the interior aesthetic is clean and logical. Audi’s second-generation Virtual Cockpit digital driver display is sharper and quicker, an available head-up display is larger and displays more useful information, a new generation of MMI powers a pair of customizable center displays with haptic feedback, improved voice commands filter out background noise more effectively, Apple CarPlay and Android Auto now connect wirelessly, and HERE-powered maps now learn common drive routes. These features are numerous and sophisticated, but also sleekly packaged and impressively suable. Rear passengers are equally well-attended. A choice of four or five-passenger configurations introduce business class-style comforts, including seat heating, ventilation, and massage; front-seat adjustment from the rear seats; Matrix LED reading lights; and a detachable OLED smart remote. In four-passenger guise, the A8 has a fixed center console to mirror the front cockpit, a collapsible front passenger seat, a heated foot massage, and reclining seats. 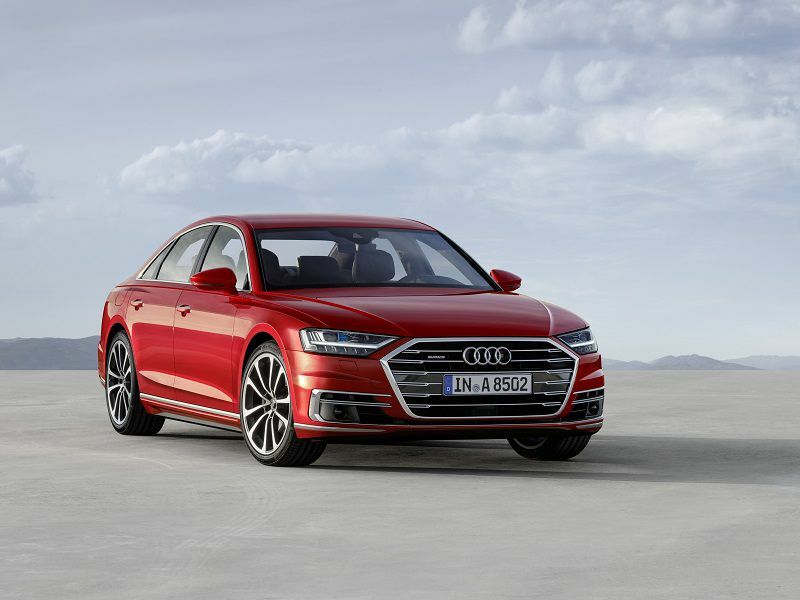 At launch this October, the 2019 Audi A8 will only be offered with one powertrain and transmission combo. A 3.0-liter turbocharged V6 sends power to all four wheels via ZF’s latest eight-speed automatic gearbox. Also on board is a belt-alternator-starter that powers a 48-volt electrical system for mild hybrid assistance. Developed for efficiency rather than performance, the electrical aid doesn’t impact the A8’s 335 horsepower and 369 lb-ft of torque. 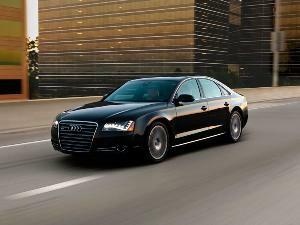 Off the line, the V6-powered A8 is plenty quick, hustling to 60 mph in 5.6 seconds. Mid-range acceleration is less impressive, requiring more planning for passes. Before long, Audi will also offer a twin-turbocharged 4.0-liter V8 good for 460 hp, plus some version of a plug-in hybrid powertrain with 449 hp on tap. Audi hasn’t yet announced fuel economy for the base engine, but we observed 20 mpg while driving along Big Sur’s portion of Highway 1. You can guess how a long-wheelbase, V6-powered luxury sedan drives, but as it relates to the A8, your guess is likely only half right. Yes, the A8 is plush, relaxed, and prone to some body roll in corners — but thanks to a few clever pieces of engineering, it can transform into a nimble, fun-to-drive saloon. The A8's rear-wheel steering stands apart from such systems we've experienced in other premium vehicles. Not only does it reduce the A8’s turning circle to match the far smaller A4, but at speed, it makes the car feel infinitely more planted without a trace of the unnatural delay we typically encounter. Complementing the dynamic improvements of rear-wheel steering is Audi’s predictive active suspension. While scanning the road ahead, the A8 can prepare for a bump or rut by lifting its air suspension up to 2 inches to absorb the impact. After passing over the obstacle, the suspension will extend to smoothen the transition. All this takes place in fractions of a second. It sounds too good to be true, but in practice, the system works as advertised. Audi’s predictive active suspension doesn’t just make the A8 ride smoother, but it also protects passengers in a side impact. If the A8 senses an imminent T-bone collision, it will raise its suspension 3 inches on the impact side in half a second. Doing so puts the A8’s side sills (which are stronger than the doors) between the approaching vehicle or object and the passengers. More broadly, an interplay of 24 sensors and cameras provides what Audi calls PreSense 360 — 360 degrees of active safety monitoring. 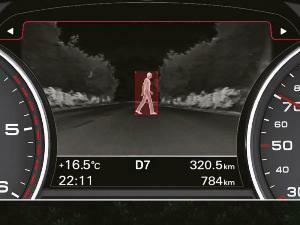 In addition to standard features like automatic emergency braking and pre-collision protection, the A8 offers lane-changing assist, front and rear cross-traffic alerts, blind-spot monitoring, lane-keeping assist, adaptive cruise control, automatic high beams, collision avoidance assist, and parking assist. 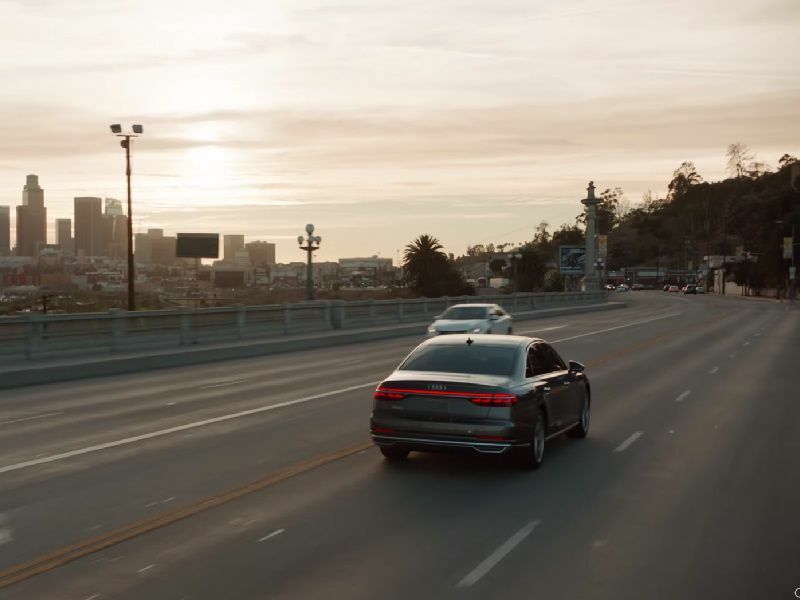 The A8 will also ship with the capacity to operate at Level 3 autonomous driving via Audi’s traffic jam pilot (hands-off driving up to 37 mph) and a combination of adaptive cruise control, lane-keeping assist, and other driving aids for higher speeds. 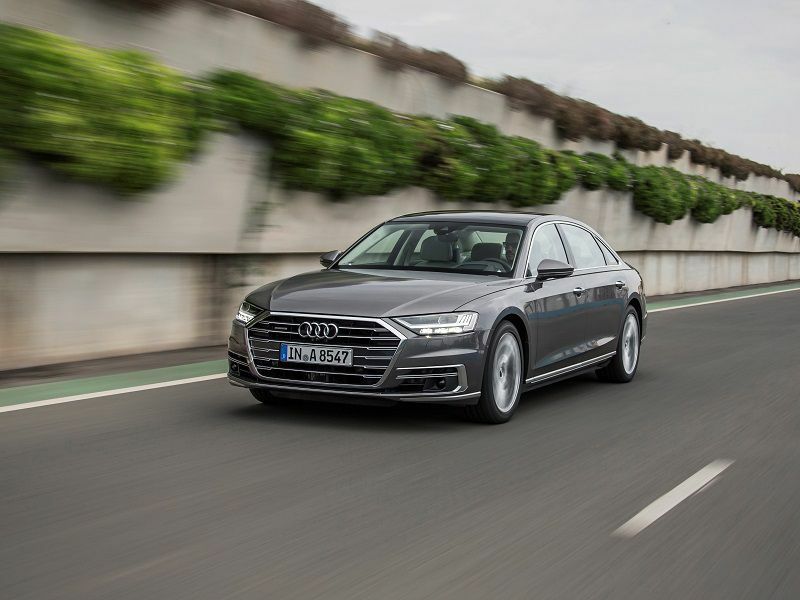 U.S. regulations prohibit the use of Level 3 autonomous tech, but like its Matrix headlights, Audi can update its A8s over the air if rules change. 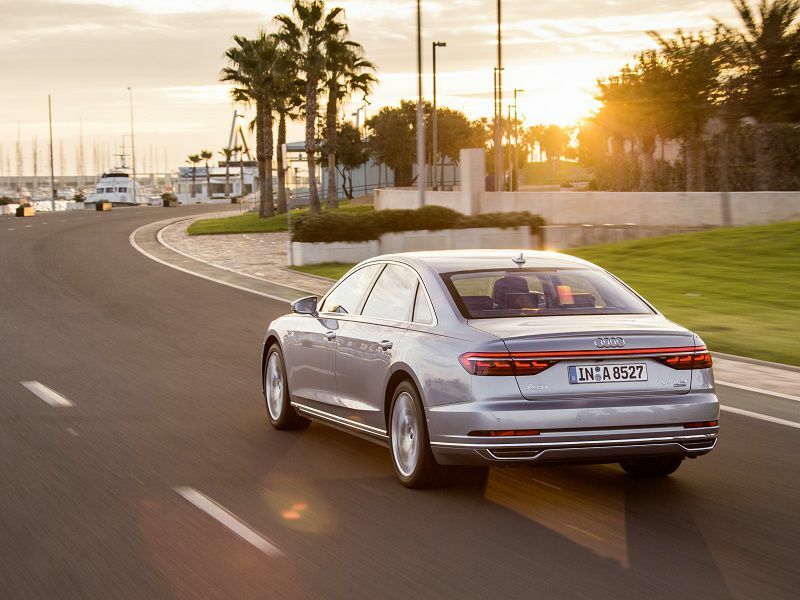 The 2019 Audi A8 starts at $84,795 (including a $995 destination fee). Standard feature highlights include 19-inch wheels, four-zone climate control, an adaptive air suspension, Virtual Cockpit, the "pre sense basic" and "city" safety systems, a Bang & Olufsen 3D sound system, heated 18-way power front seats, LED headlights and taillights, and a panoramic sunroof. An Executive Package ($4,150) adds 22-way comfort front seats, wireless phone charging, a head-up display, side assist, dual-pane acoustic glass, front seat ventilation, and a 360-degree camera. The Driver Assistance Package ($2,750) bundles adaptive cruise control, traffic jam assist, predictive efficiency assist, lane-keeping assist, intersection assist, and traffic sign recognition. A Luxury Package ($4,250) includes an Alcantara headliner, aluminum optic buttons, additional leather surfaces, ambient interior lighting, a Valcona leather interior, and a cabin air fragrance/ionizer. The four- and five-passenger rear seat comfort packages (detailed previously) will set you back $3,500 and $7,550, respectively. There are also a number of additional standalone options, including larger wheels, a higher output sound system, night vision, dynamic rear-wheel steering, matrix headlights, and OLED taillights. 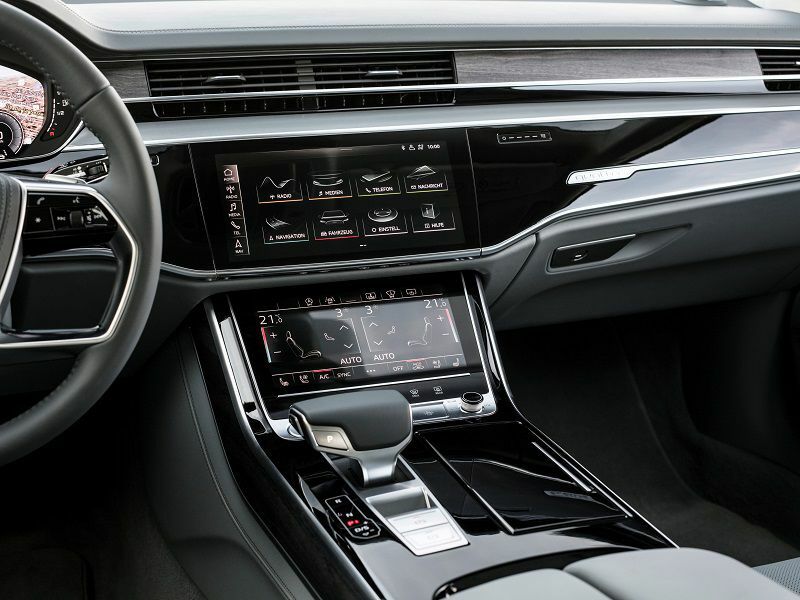 Despite its leaps in technology, driving dynamics, and comfort, the 2019 Audi A8 must still contend with fierce rivals. Last year, BMW sold twice as many 7 Series sedans and Mercedes-Benz sold five times as many S-Class vehicles than Audi sells A8s. To change buyer perspectives, the A8 must be categorically better than its rivals in almost every way. Matching up against the Mercedes-Benz S450 4-Matic ($92,900) and BMW 740 xDrive ($86,100), the 2019 A8 slots is the least expensive by a fair margin. Though it makes more power than the 7 Series, the A8 is down a bit of grunt to the S-Class. We estimate the EPA will rate the A8 somewhere between the 7 Series’ 24 and the S-Class’ 22 combined mpg. 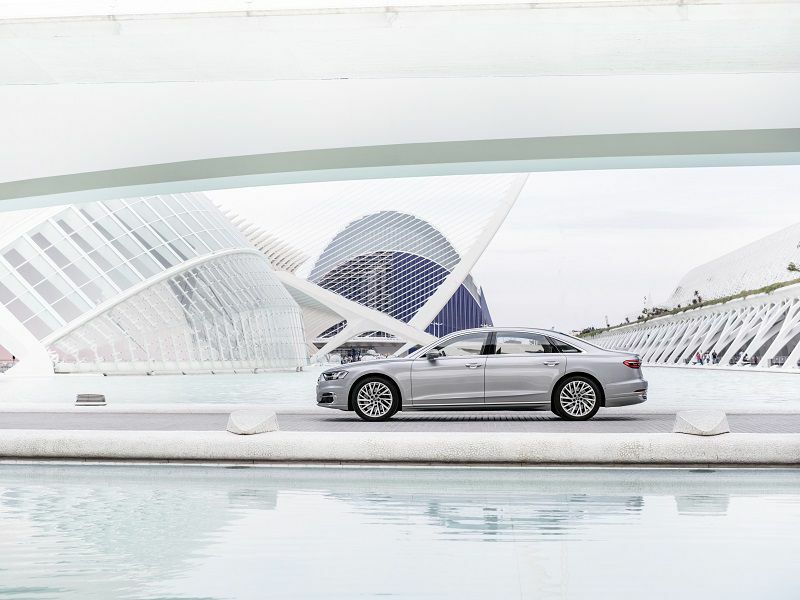 The A8 is by far the most technologically advanced of the three sedans. Subjectively, we prefer the A8’s subtle, refined styling to the chunky 7 Series, but we still consider the S-Class’ curvaceous bod a segment standout. 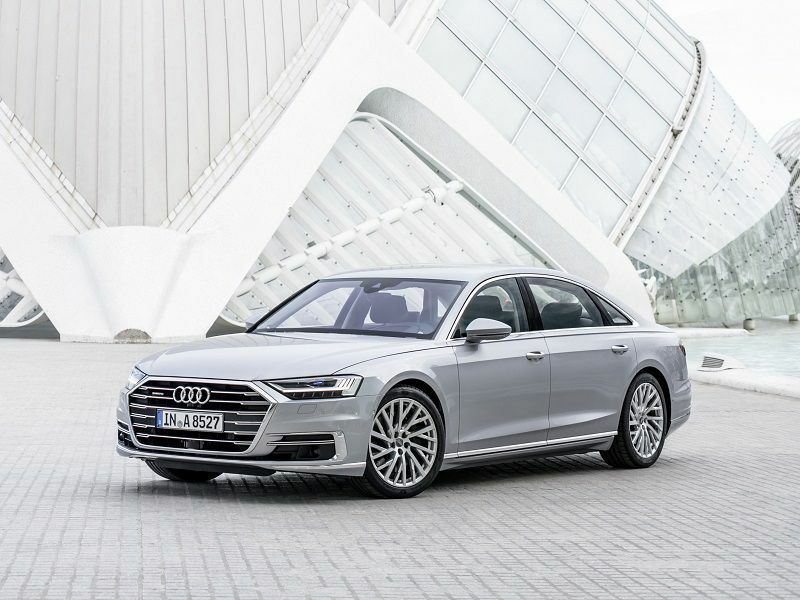 The 2019 Audi A8 steps beyond its rivals in several key areas, including convenience and safety. And, provided U.S. regulatory approval, it will be even more of a technological knockout. Audi says the luxury buyer has changed — that serenity appeals more than glamour. If that proves true, the new A8 is sure to lure buyers like never before.